I have been a bit quiet around here lately. 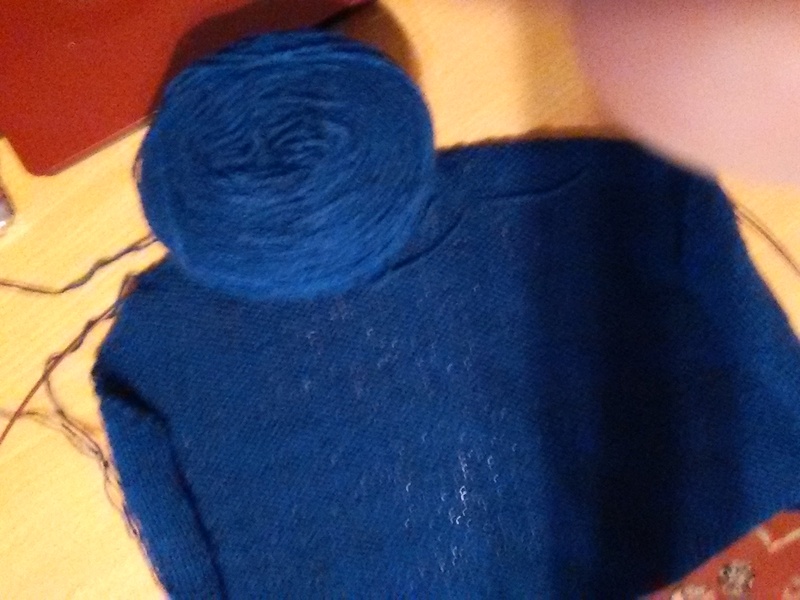 I’ve been working on my Rowan Hobo top exclusively, and I have to admit — it wasn’t really inspiring me to make any effort on it, or to blog about it. It’s coming along well, a few rows a day here and there. I’ve finished the back and am somewhere between a quarter and halfway done with the front (though probably much closer to the former than the latter). I had hoped that with it being my only project on the go that I would be more inclined to focus on it… I was wrong. I think. 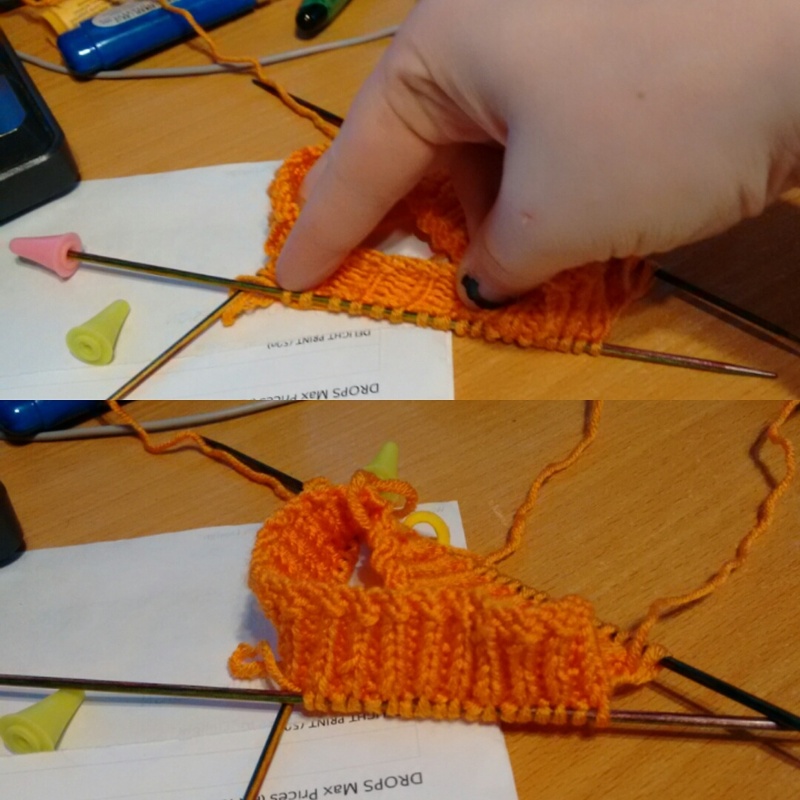 I finally broke down and cast on the socks that Smallhausen wanted me to make her. I used Jeny’s Stretchy Slipknot Cast-On, which, if you are not familiar with, makes for amazingly stretchy and comfortable cuffs on top-down socks, or wrist-up sleeves. I had forgotten how tight the first row of knitting was going to be though; the combined effort of casting on and doing the first row probably took me an hour or more. 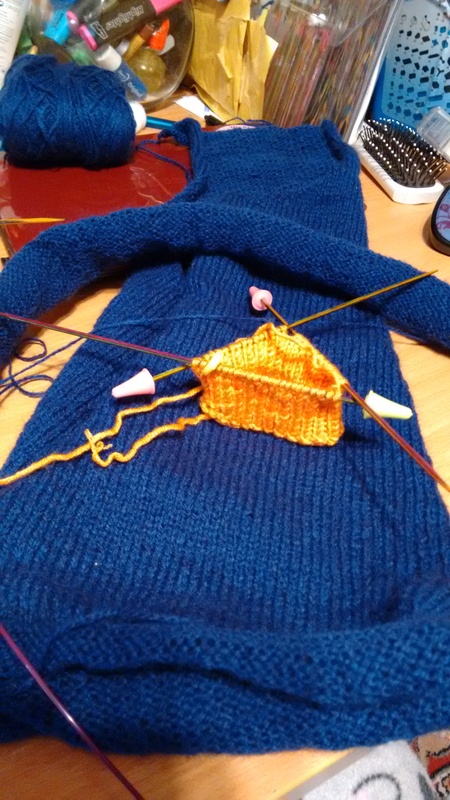 I doubt it will take me as long on the second sock, but we’ll see what happens when I get there. I’ve got to get through the first sock too, and as Smallhausen wants them to be knee-length, that’s going to be a bit longer than not. What is of amusement to me though is now that I’ve got two projects on the go again, I feel more inclined to knit altogether. That’s surprised and amused me, but this evening has seem me diving headfirst into trying to make some sincere effort. Maybe the bright bright orange that Smallhausen is perking me up and sending me knit rays, ha ha — she said orange for her socks, and hooboy, did we get her orange. But really, I guess that being able to do a row of one thing, and then a row of another, and to alternate as such makes it a bit more interesting and a bit less same old same old ‘knit in pattern for 10,000 rows’ sort of thing (even if both are totally exactly that in different ways). That’s about it for me right now. 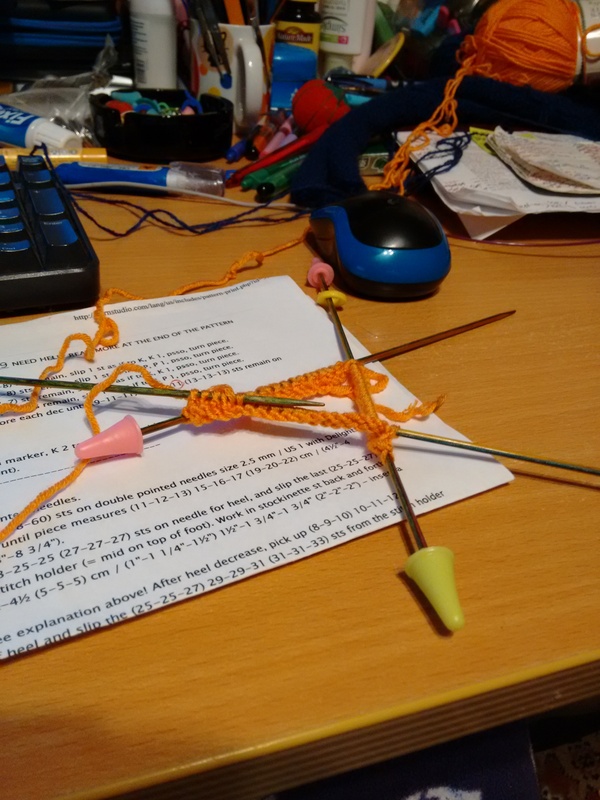 I’ve not really been gaming outside of comfort zones, I’ve not the spoons to make with baking, and NaNoWriMo? Maybe next year or the year after, but I knew I was going to skip this year no matter what. Good luck to anyone reading who is giving it a go though!